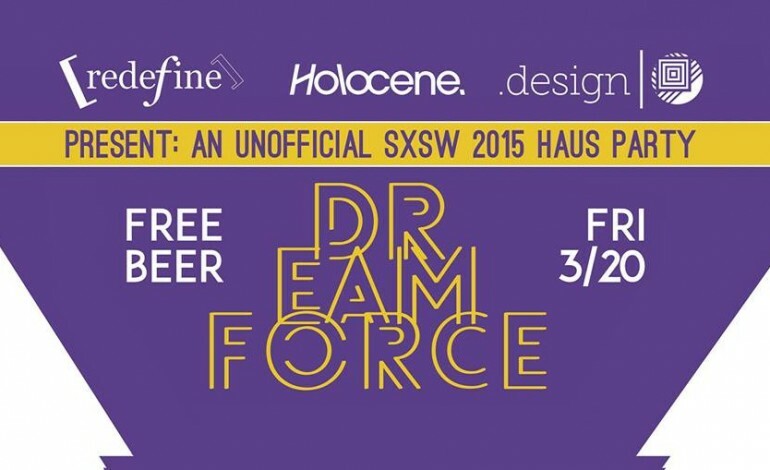 Dreamforce, an unofficial house party, is coming to Austin this SXSW for their fifth year in a row. They are bringing a great lineup with them all day and night on Friday of music. 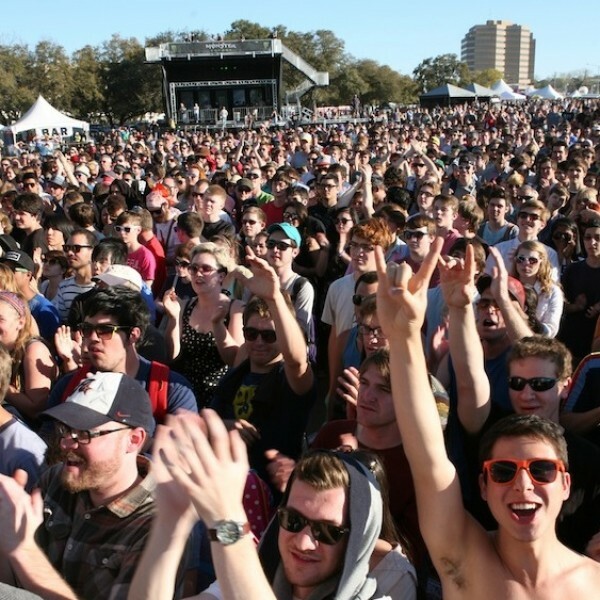 The lineup includes some greats like Atlanta rapper Rome Fortune, Beacon from Brooklyn, Ellie Herring who’s everywhere this SXSW, indie band YAWN and more. See the full lineup below. 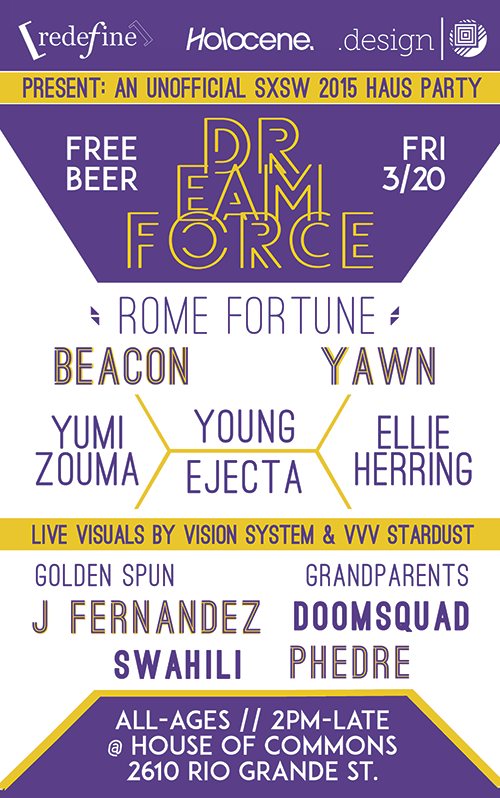 RSVP here and get more details on the event like FREE beer. You can also download a mix of all the bands playing here to get ready for the event.